Just when I’ve been thinking I am wasting too much time here, does anyone care about this? is anyone reading me? what the heck is the point of this? I should be doing something else, I should be off the internet, I have poems to write! I have workshops to plan! I have poems to read! I have a life to participate in! 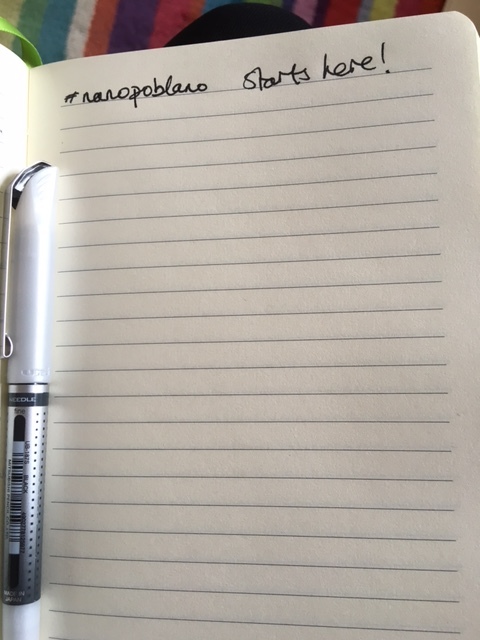 (I do, really, honestly, it’s true)…… I caught sight of the #NaNoPoblano & #NaBloPoMo hashtags. November is National Blog Posting Month, something I’ve never taken part in all the five years I’ve been blogging. So, somewhat rashly, certainly on the spur of the moment, with no forward planning and very little thought, I’ve decided to publish a blog post every day for the month of November. I found out about #NaNoPoblano via this post at Lizzie Ward’s blog and I signed up here. If you feel inclined to join in, don’t hold back, it will be lovely to have some company! I have no great plans for this month, no expectations, no goals. I am simply going to post something every day for thirty days. Posts might be diary entries, musings, photos, images, thoughts, ideas, ramblings, reviews, reactions, lists, recipes, messages…. maybe other kinds of things I currently haven’t imagined. I don’t know if I’ll make it through the month. I’ll try my best but I won’t be losing any sleep if I miss a day or two. I’ll probably keep posts short and I will try to read other people’s posts as much as I can – but I am going to limit my time to about two hours a week on this project – so that I have time to do things which I can then blog about (that’s my logic, in any case). So, goodbye for now, and I hope to see you in two days time for the first of my #NaNoPoblano posts! Good luck Josephine. I shall be reading and cheering you on. Looking forward to reading your posts. I thought for a moment it was a poem a day. You could go for a haiku a day??? Thanks, Jean 🙂 I think I’ll stick to prose for this challenge! You are an inspiration! I signed up too. Eek. I will have to try NABLOPOMO next year! I love writing at this time of year, and I am enrolled in NANOWRIMO, however, I don’t think 50,000 words in one month is for me. That and all the goings on are clashing. Still, I have more words written than I would have otherwise, so I am glad I set out to do it.